Looking for a fun way to track your moods this month? 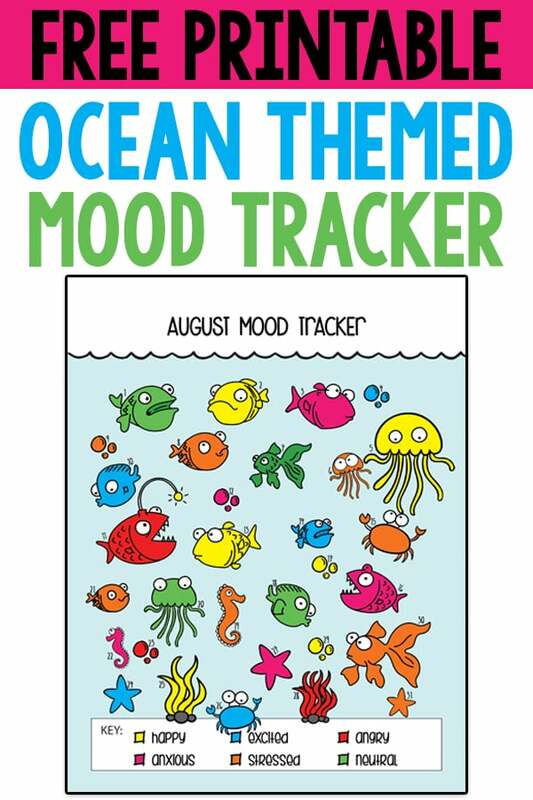 This versatile free ocean mood tracker or bullet journal tracker is a great solution for tracking your mood, no spend month, etc. 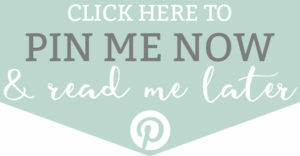 It’s available in both 30-day and 31-day format and is in black and white without a title so you can print and customize it to meet your needs! 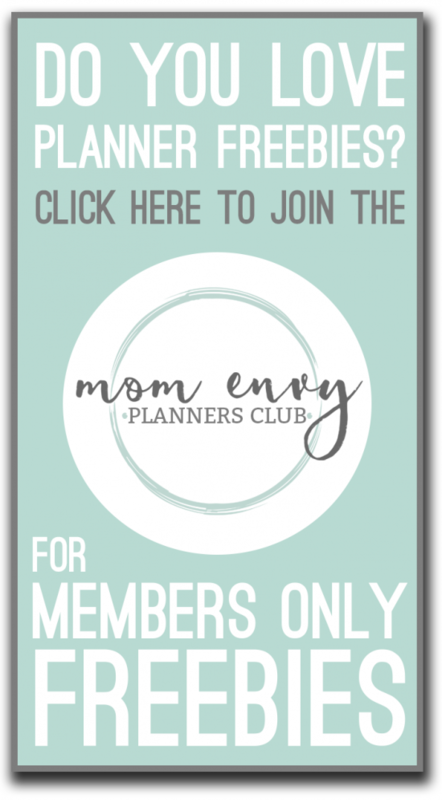 If you’re one of our lucky Mom Envy Planners Club members, this download is available for you for free. 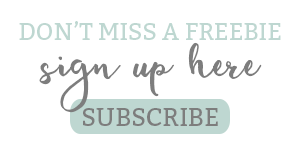 If not, sign up here to gain access over 200 free planner printables! This bullet journal tracker can be used for various topics. Here is how the free printable bullet journal tracker starts. 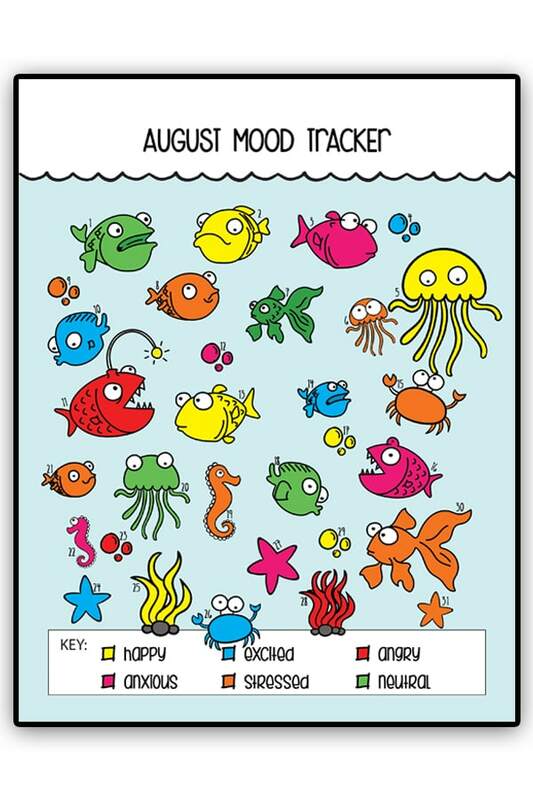 In addition, I have shared an example of how the tracker could be used to track moods. 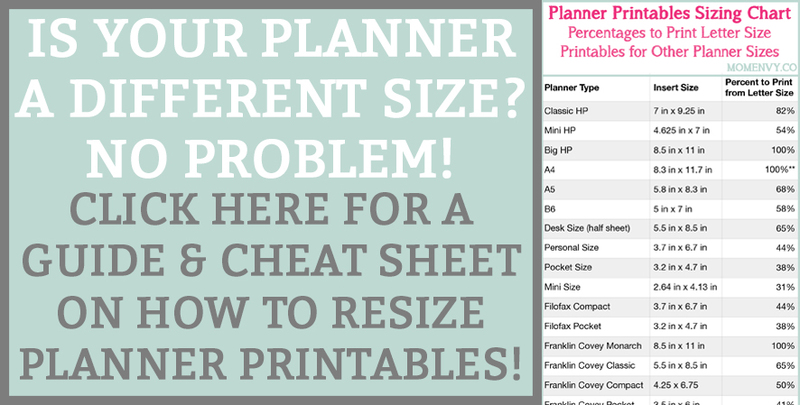 Want more FREE Planner Printables? 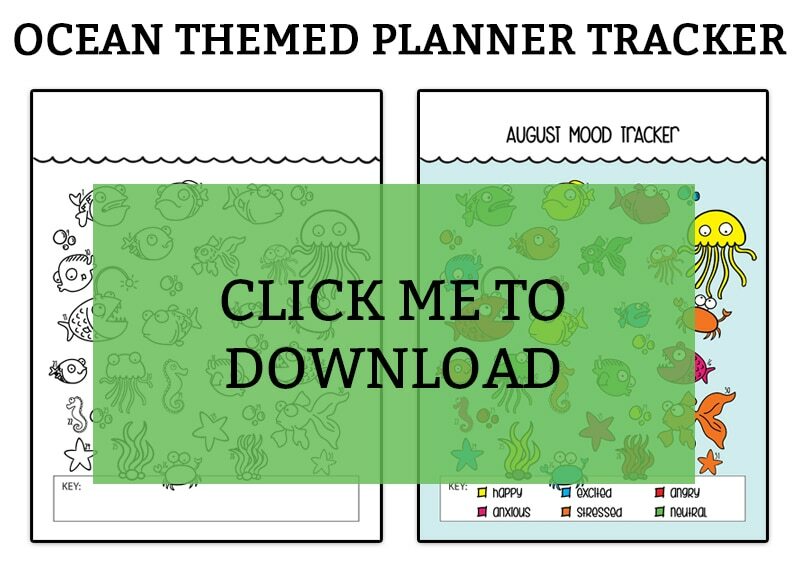 Looking to get your planner organized for the upcoming year? 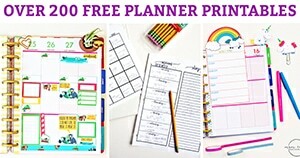 Check out the many more FREE planner printables available here at Mom Envy. Copyright MOM ENVY 2018. Files may be used for personal use only. 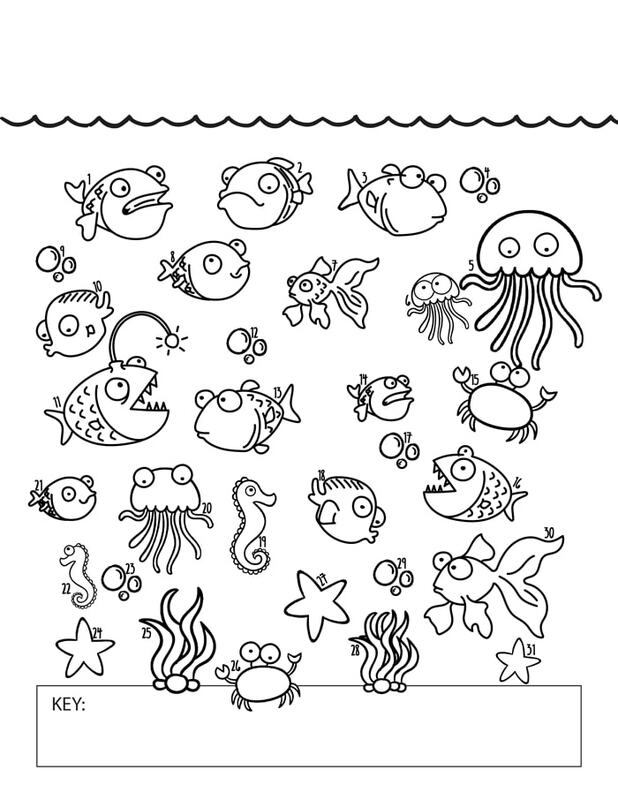 The fish files are designed by Freepik.com. The wave pattern, crab, etc. are all modified from a design by Freepik.com. No commercial use of the file is available. Files may not be directly shared within Facebook groups, on websites, traced in Silhouette or Cricut program, or in any other way. A link to the web page to download the files may be shared as well as one photo. The file may not be printed and/or created using vinyl and then sold (including local yard sale sites and groups or at local craft fairs). The images may not be used in any way other than to share with a link to the original web page. 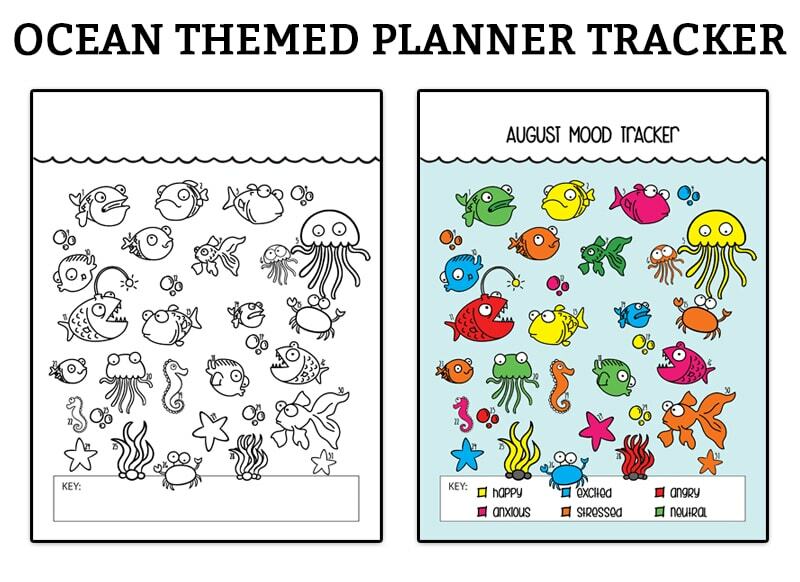 Looking for more summer themed planner printables? 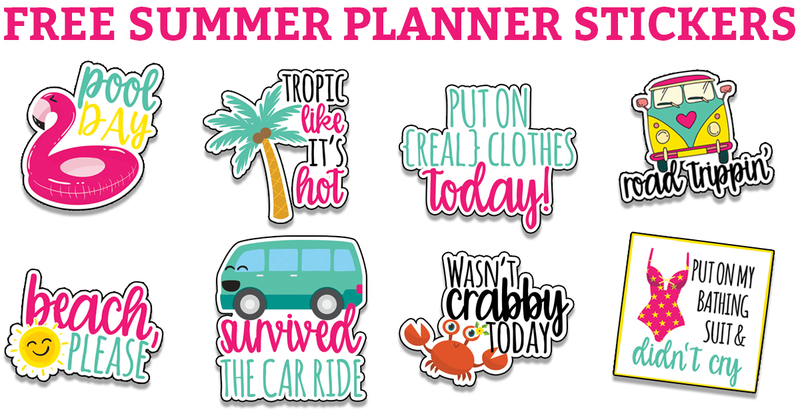 Check out these FREE summer planner stickers! 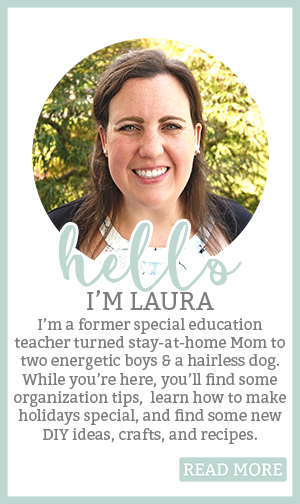 Enter your password from the Mom Envy Planners Club. If you have trouble, email me. 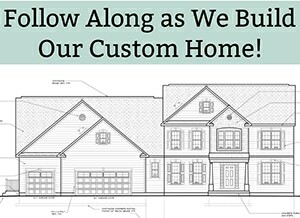 So glad you like it – thanks for stopping by!